Country music singer-songwriter RaeLynn's service dog, Jazz, is currently battling cancer. More on the German Shepard's condition here! 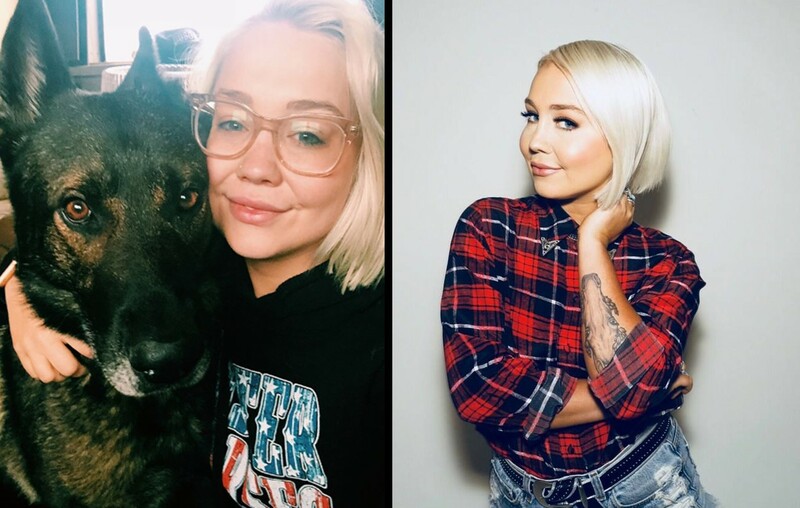 Country music songbird RaeLynn has shared some bummer news back in August— her service dog, Jazz the German Shepherd, is battling cancer. The working canine is trained to detect changes in the artist’s blood sugar levels due to Type 1 diabetes. “Asking all of you to pray for my Jazz. He got diagnosed with Cancer 2 weeks ago. We removed it but it’s growing pretty fast. I’m praying for a complete healing in his body. He brings so much joy to me and Joshs life. I am beyond sad but I truly believe in miracles,” RaeLynn shared over the summer via Instagram. Jazz has been an important part of RaeLynn’s life for a couple years now and came from Global K9 Protection Services in Nashville. The other members of Jazz’s ‘pack’ include RaeLynn’s husband, Josh Davis, and the couple’s Chihuahua, Dolly, who is named after music legend Dolly Parton. Despite dealing with the impact of cancer, the German Shepard is still has a lot of energy. “He’s acting a whole lot better. He’s alert and he loves to play ball and he’s still totally active, so we just plan to take it day by day,” the artist added. In 2017, Jazz accompanied RaeLynn while she was on country music star Blake Shelton‘s Doing It to Country Songs Tour. RaeLynn was on Team Blake when she appeared on The Voice‘s second season in 2012. We wish Jazz the best as he continues to fight cancer! Share this update with other fans and let’s take a look at the faithful pup’s best recent moments below! Check out where you can see RaeLynn on tour here and listen to her latest, “Tailgate,” below!